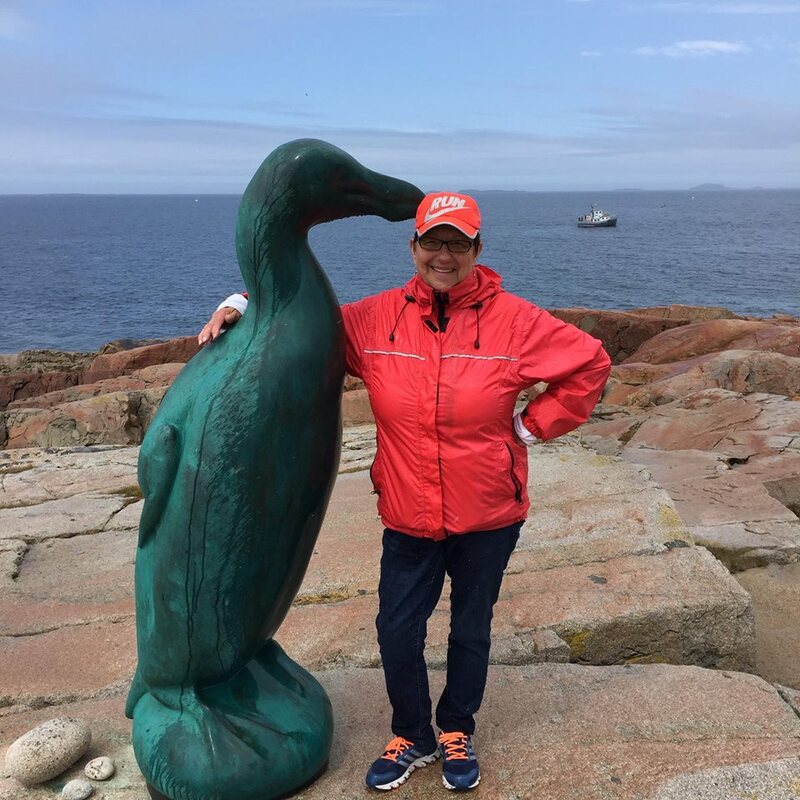 Joe Batt’s Arm Trail leads to the Great Auk statue. Because she’s a recently retired town employee, I’m sure most Fogo Islanders know Blanche Bennett . The fact she’s born and raised here probably helps too. I guess I first met Blanche almost 20 years ago when taking Gander students on field trips to the Marine Interpretation Centre in Seldom. Blanche would help me arrange a visit off season so our Gr. 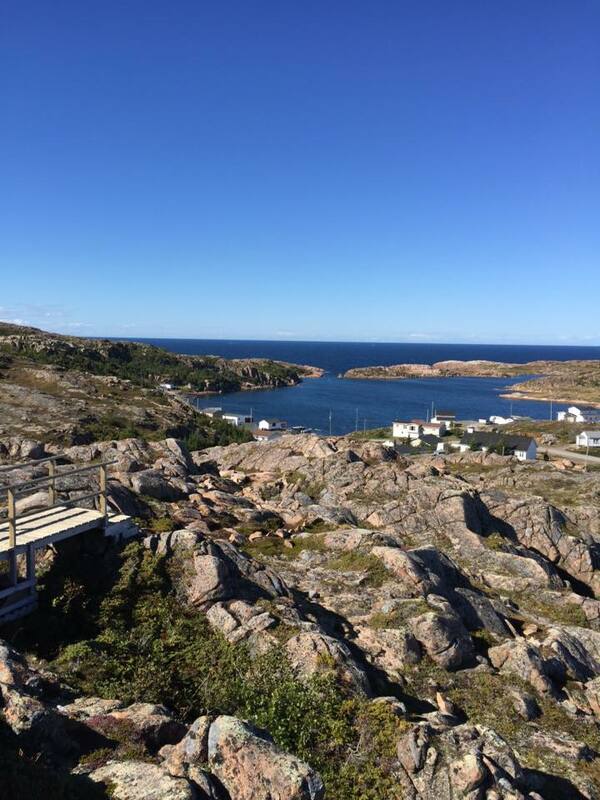 3 students could see as much of Fogo Island as possible. Through our many meetings and mixed up extended family history we’ve probably just assumed we’re somehow connected. Maybe not by blood or even by marriage but somehow a relationship exists. 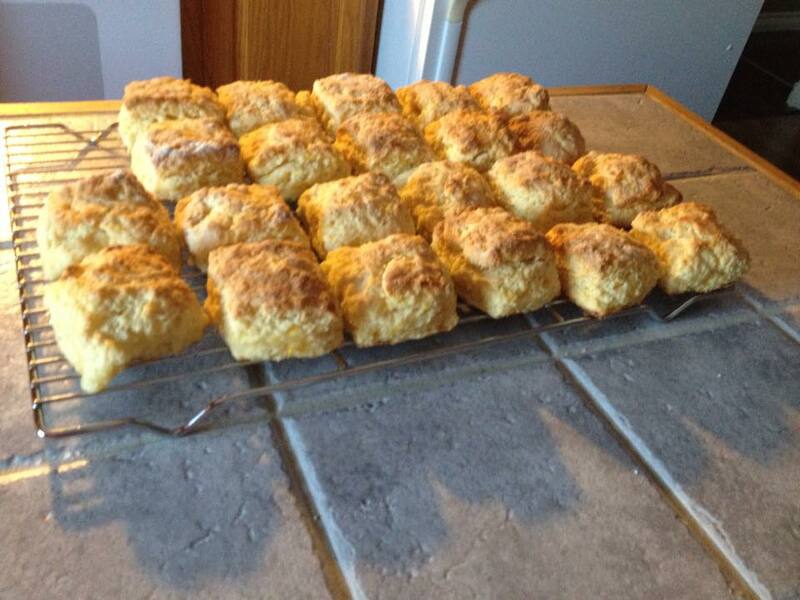 Could be the partridgeberry jam tarts or her delicious scones. It’s easy to develop a connection with Blanche. What you see is what you get and what you see is a warm smile and a generous heart. It’s easy to have a laugh with Blanche and she’s safe for a cry too although she’s not a crier in my experience. You’re safe and going to have fun when in her company. Blanche lost her husband suddenly last year just before she was set to retire. Plans made for retirement were suddenly not what she had looked forward to as she found herself home alone with her little dog Mishu. She had to make new plans. She had to reinvent herself in a way. Blanche is an upbeat person and knows there are things she can’t change, even if she wanted to. 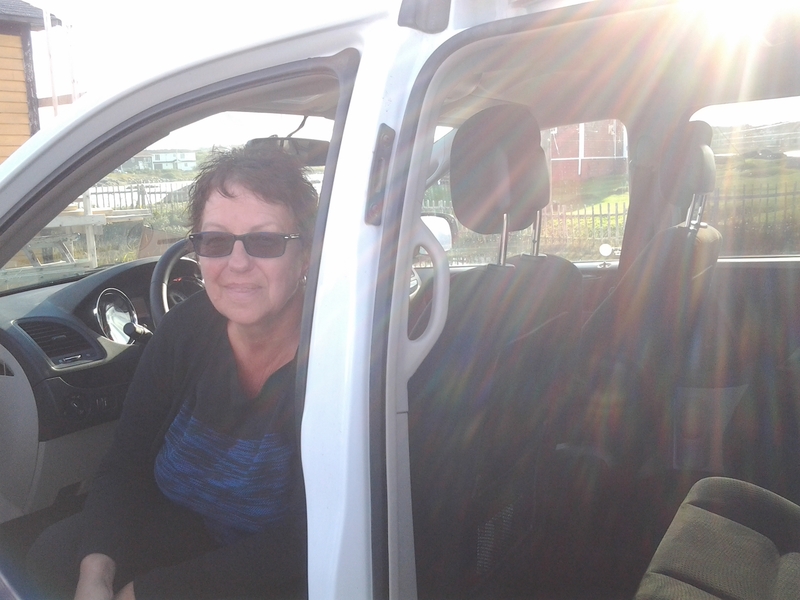 With support of her sons and good friends and family she kept busy and decided during that difficult year of change to put her name in at Shorefast Foundation in the spring to see if she might find a bit of work and distraction. The next thing I knew, she was out and about! Taken from the Deep Bay trail to the Bridge Studio. Photo credit Blanche Bennett. 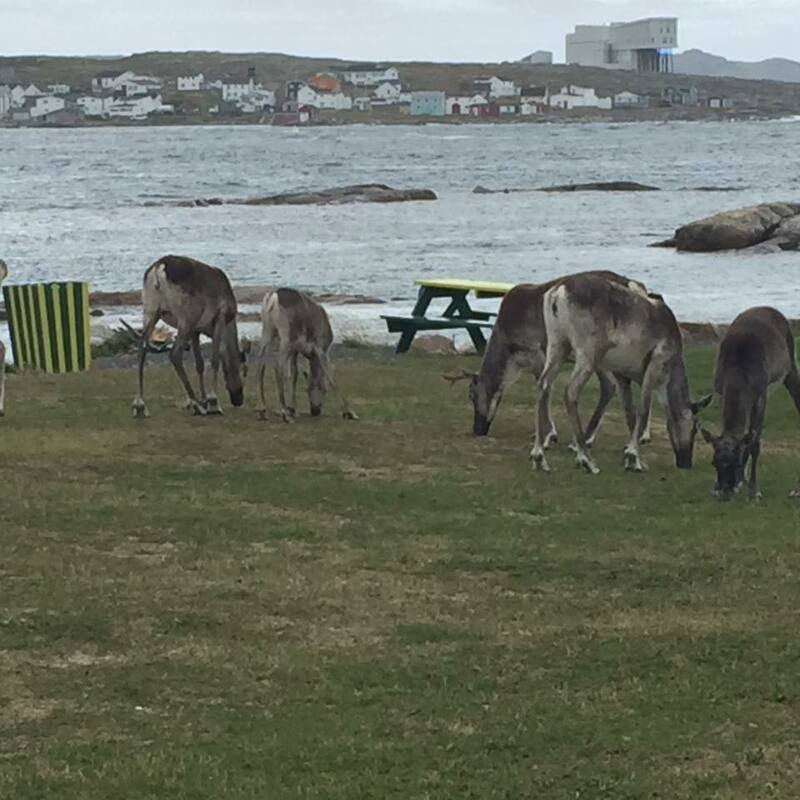 One of the perks for guests who spend two nights at the Fogo Island Inn is to have an Orientation Tour guided by a Community Host. As a Community Host, Blanche has found whole new adventure and has been too busy all year to travel and visit her boys. I’m pretty sure that even her little puppy Mishu thinks her friend Jean Dawe might be his mom now. 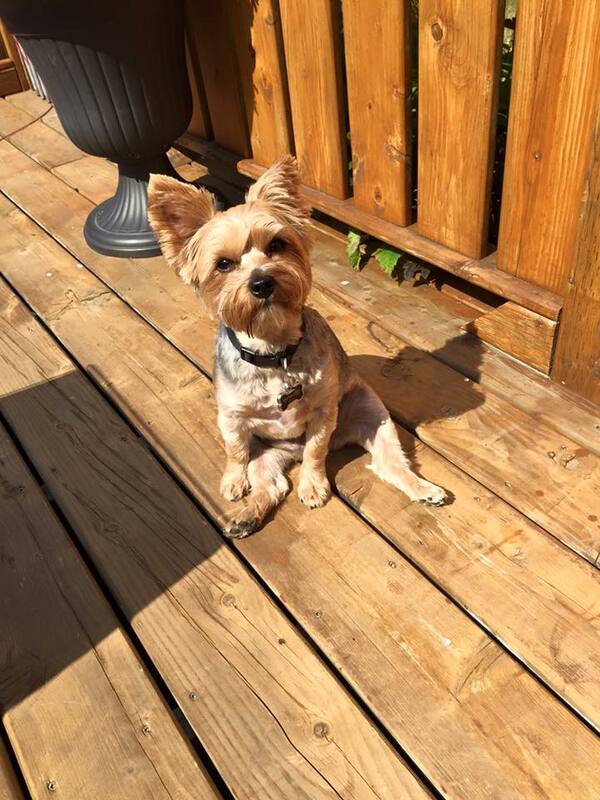 Mishu just sits home and hopes she comes home for a walk before she goes off again! It’s a dog’s life. Not too sure what the boys think, but I suspect they are enjoying seeing their mom so busy and happy. We’ve met Blanche on tour in many areas of the Island. She might be checking out historic sights in Tilting or visiting art studios or galleries in Deep Bay or Shoal Bay. A Tilting tour by Blanche Bennett. She’s also up for hiking Brimstone Head or any of the other trails and with her interest in photography can get visitors to great vistas and views. Out and about with Blanche is a photographer’s dream. I know from talking to her that she connects well with her guests. If their interest is history, the museums are emphasized, hikes are suggested for different skill levels and as an amazing baker herself, she loves to talk food and recipes and traditions. 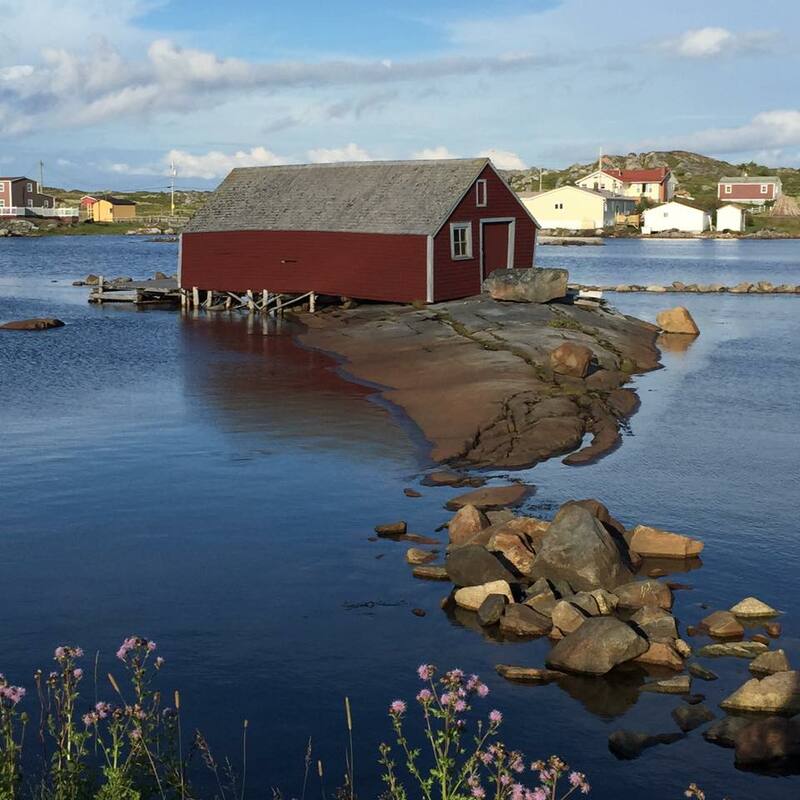 Guests from all over the world have gotten their first impression of Fogo Island from Blanche and her fellow community hosts and they love it. In one case, guests requested her as a guide because family members recommended her after their stay and previous tour. We’ve met guests who toured with her and commented on how much better they understand the fishery or traditions. Of course, they also comment on just how nice she is. Blanche would never tell if she met anyone famous but I’ve got ways of finding things out! 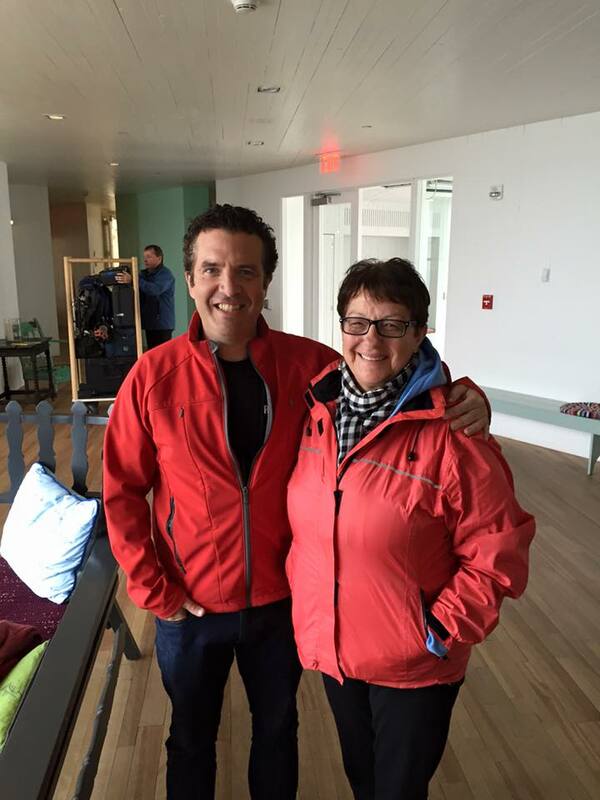 Rick Mercer bragged about visiting Fogo Island as much as Fogo Island took a shine to him! I still don’t know if this was someone she took out and about or just a chance meeting at the Fogo Island Inn. It’s been a wonderful thing for Blanche to share her passions and knowledge with so many people from around the world. Her own travel experience must certainly help her to welcome guests to her home. Her sense of humor and appreciation for other cultures and that experience of dealing with many issues and many people as a Town employee have her well prepared for whoever comes on the next trip. While she honors the confidentiality of her guests , she’ll sometimes share a story of a comment or reaction someone had on tour. Something that draws attention from one group of travelers gets added to her bank of information for the next group with similar interests. I know her guests are loving it because I’ve seen her named on glowing reviews for the Fogo Island Inn on Trip Advisor and her praises have even been Tweeted by happy guests on tour. She knows all the best attractions and where to meet the locals. I see many hosts touring visitors around Fogo Island and would love to see and hear what they are experiencing but of course, when booked at the Inn, I’m not going anywhere further than the dining room! I’d love to spend a day touring with Blanche sometime when were out in Deep Bay but every time we try to catch her, Mishu complains she’s out and about! I wanted to finish the post with a picture of her at home but, well, you know…. Fantastic tribute and an enjoyable read. Blanche is a fine ambassador to Fogo Island. 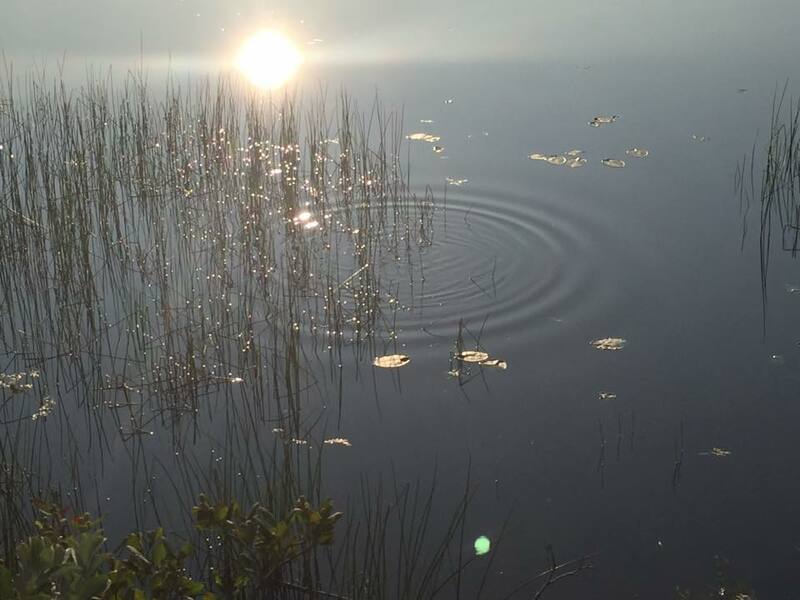 Sure am enjoying your Fogo island blog! We are heading there on a visit next month. Reading this entry and hearing about Blanche’s interest in photography made me wonder if there is anyone on the island who does photography tours? Eg tours you about, explains some of the history and brings you to various photogenic sites? That would be so fun and just lovely to do there!